I went to Mike with a goal to build a competitive rife that I could still use to hunt with that wouldn’t be uncomfortable on a long hunt. I brought Mike a stock Remington model 7 in 308 to work with. After looking at ballistic charts for what felt like an eternity, I came to the conclusion that 7mm08 was the round that would work for me. 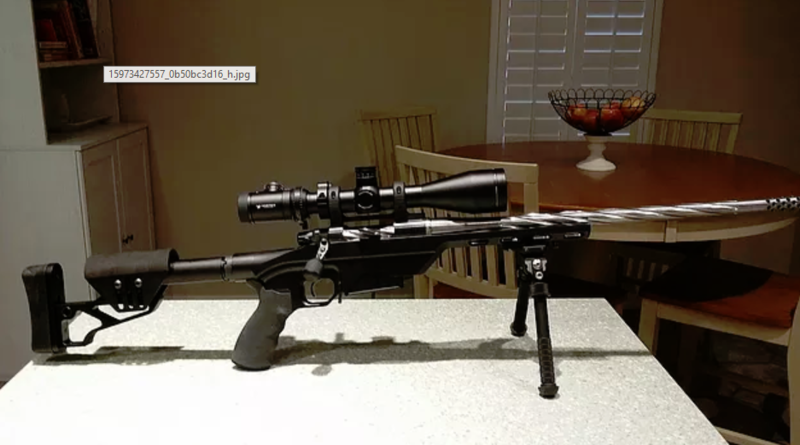 With 6.5 Creedmoor being the round of choice nowadays, it was a big contender. My only concern was the 6.5 required a longer barrel than the 7mm08. Plus, the 7mm bullet will work better for elk (just my opinion). Mike sourced all the parts and the build began. Mike sent the barrel and bolt out to have them lightened. The barrel was spiral fluted and the bolt received a matching fluting treatment along with having the handle lightened. Mike asked me to come pick up the gun once it was assemble but still in the white (no finish) to go shoot it and see if there were any changes I wanted to make before the gun gets torn down for cerakote. When I saw the gun it was exactly what I was after. Mike was able to turn my vision into a reality. First thing I did was have Mike put the gun on his scale. 10 lbs exactly with scope, bipod and magazine. I was ecstatic. The weekend couldn’t come fast enough for me to shoot the gun. I woke up Saturday morning ready to go. I got to the range early and so did the wind. It was blowing intermittent 20 mph gusts straight across the range. I set up a target at 50 yards to check my zero before moving out to 100 yards. I shot 2, 3 shot groups at 50 yard to start the break in process and zero the scope. .5 inch group. not bad for the first 6 shots. I moved the target out to 100 yards and started the process again. Consistent 1 inch groups with the first box of factory ammo through a brand new barrel in 20 mph cross winds. I think that will do, I told myself. I brought the gun back to Mike to have it broken down and completly cerakoted. As I am writing this, the gun is getting coated. I am looking forward to getting back out to the range to finish the break in procedure. Then it is time for load development. The last gun Mike built for me (18lb 308 comp gun) shot sub .4 groups with factory ammo after break in. I will be reporting back shortly after my trip to the range with pics of the fresh cerakote and target.